In July of 2017, I put together a comparison of Tesla Model S sales and other large luxury car sales in the USA. An update has long been due. The story was very much the same in the first part of 2018 as it was in the first part of 2017. The Tesla Model S sat comfortably at #1 in this category. Out of 10 large luxury car models, the Tesla Model S gobbled up a notable 34% of sales. The Mercedes S-Class trailed it most closely with 23% of sales. In case you think my Tesla Model S sales estimate may be too fanboy-ish, note that the article where I sourced the other car sales data used an estimate of 8,400 for the quarter (as opposed to my estimate of 6,730). This isn’t a blip in history. Rather, it’s been the story in the US large luxury car market for years. Someone new to the topic might wonder why the Model S performs so well and outsells historic giants of the market such as the Mercedes S-Class and BMW 7 Series. Each individual buyer is different, but in aggregate, it seems that would be due to the Tesla’s superior performance, advanced tech (esp. Autopilot), smooth and fun electric driving experience, convenient home charging, attractive design, superb safety (top of the market), and zero emissions. However, we don’t have any definitive research on the matter, so we’re left to speculate based on anecdotes and some consumer research. The Tesla Model 3 is not at full production — not even close — yet is already apparently the leader in the small & midsize luxury car category. If production and deliveries rise as expected, it will be dominating this category in a similar way as the Model S dominates the large luxury car category, as many observers and analysts expected it would. 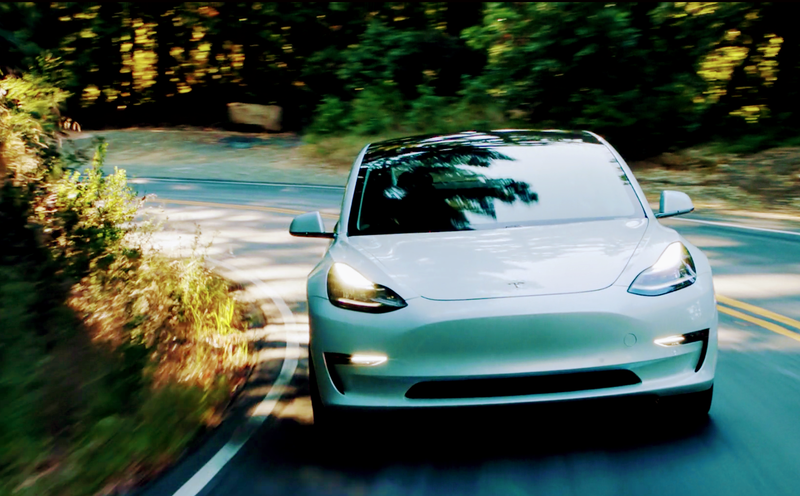 Again, Model 3 competitive advantages include wicked performance, high tech, convenient home charging, stunning design, smooth & quiet driving, great expected safety, and zero emissions. Even taking out several qualitative, subjective factors, Tesla Model 3 specs look great in comparison to the model’s gas competitors. I also checked how the Tesla Model X stacked up to gas SUV competitors. In this case, I was surprised to see the Tesla wasn’t on top, not even on the podium. In the midsize luxury SUV category, it’s right around the middle of the pack, sitting at #11 according to my estimate. Since I think the Model X is far and away the best SUV on the market and offers a competitive price for what you get, I’m not sure that I can explain why the Model X isn’t at least in the top 3. Perhaps this bigger market is just made up of “late majority” mainstream buyers to a greater extent, whereas consumers in the markets above have more of an “early adopter” or “early majority” profile? Or perhaps it’s because some of Tesla’s most popular benefits (extreme acceleration, innovative tech, and zero emissions) are less valued by consumers in the luxury SUV market? Also worth highlighting is that some of these models are significantly cheaper than the Model X (not taking into account fuel savings). In any case, there’s clearly room for the Model X to grow. Perhaps a ton of Model 3’s hitting the streets will bring significantly more attention to the company and result in more monthly Model X sales. Or not. We’ll see.